Comprising Denmark, Finland, Iceland, Norway, Sweden and their associated territories, the Nordic countries are geographically located in Northern Europe. Spanning almost 1.2 million square kilometres, the Nordic countries are home to around 24 million people. Each of them has made the list of the top 30 richest countries in the world in terms of gross domestic product per capita. Due to their good economic positions, the Nordic countries represent a desirable market for companies all around the world. However, entering this region can be difficult at first, especially if you are not familiar with the linguistic identity of these countries. To understand the very basics of the Nordic languages, we first need to make an important linguistic distinction. On the one hand, we have the North Germanic languages, which include Norwegian, Swedish, Danish, Icelandic and Faroese. On the other hand, we have the rest of the Nordic languages: Finnish, Greenlandic and the Sámi languages. The North Germanic Languages, especially Norwegian, Swedish and Danish, are also known as the Scandinavian languages (they are related to German and English). Around 20 million people use these languages in their everyday lives. They are part of the Indo-European language family (like the majority of European languages) and share numerous linguistic features that help many people understand each other and bring cultural unity to the region. 1 – Danish and Norwegian share a lot of vocabulary and grammar features that standard Swedish doesn’t have. Norwegian speakers are the best at understanding Swedish and Danish, but the Swedish are not that good at deciphering Danish in general. 2 – Even if the various Swedish, Danish and Norwegian dialects are not always mutually intelligible in their spoken forms, these languages are rather similar when written. 3 – Danish also has plenty of dialects, but they are usually not present in the written form. 4 – Norwegian has two distinct written forms: Bokmål (“book language”), which is more influenced by standard Danish, and Nynorsk (“new Norwegian”), which is based on several rural dialects spoken in western Norway. Both are official and widely used, but neither is widely spoken, as Norwegians speak in their own dialect – even the Prime Minister. Icelandic is a North Germanic language, and because Iceland was isolated from Scandinavia for a very long time, Icelandic remained, in many ways, closest to the dialects spoken in Scandinavia in the Middle Ages. But even if there are similarities, Icelandic is not commonly understood by people from Scandinavia. Faroese is also a North Germanic language spoken by people mainly in the Faroe Islands, but also a small minority in Denmark. Faroese and Icelandic are close relatives but are not mutually intelligible in speech. However, the written forms of the languages are quite similar, largely owing to Faroese’s etymological orthography. Finnish is completely unrelated to the Scandinavian languages, which are Germanic while Finnish is Uralic (or, more precisely, Finno-Ugric) like Estonian and Hungarian. Finnish is an agglutinative language, which means that one word may contain one or several units that carry meaning (morphemes) in addition to the root – this can make for long words! While Finnish is not part of the same language family as most European languages, it does have a large number of Indo-European loan words from centuries of close contact with these languages. Greenlandic belongs to the Inuit branch of Eskimo-Aleut languages. It is a polysynthetic language, meaning that words are made up of a root and one or more suffixes. For this reason, Greenlandic words can be extremely long and can mean what corresponds to a whole sentence in other languages. Sámi languages are indigenous languages spoken in the north of the Nordic Region, in Norway, Sweden and Finland (as well as in Russia). Even though many of the different Sámi languages have official status in the Nordic countries where they are spoken, their speakers also typically speak the official language of the country. This is the reason why, unless specifically targeting Sámi people, Sámi languages are rarely used for commercial purposes. Business-savvy executives know that breaking into a new market involves having to assess your marketing material and deciding how to best use it. Since the Nordic countries enjoy a high level of education and many people speak good English, it is often assumed that Nordic people are comfortable with making purchasing decisions in a foreign language. This is not the case. Like all people, they feel more confident using their mother tongue. If you want to make buying easy for Nordic people, you will present your information in their language. If you want to impress them, you localise your content into their way of thinking. In order to be heard on the global arena, these small nations spare no effort in constantly translating their own message to the world. They will appreciate you returning the favour. When it comes to localisation into the Nordic languages, the service – like all services coming from the Nordic countries – tends to be a premium one. If this seems plush, remember that you are aiming at reaching a high-end target audience. Boasting the highest literacy levels in the world, Nordic people know what good language looks like. As in many other countries, translators up North have university qualifications – usually master’s degrees – and the pool of expert translators is smaller than in world languages. Localisation into the Nordic languages will cost more, so make sure you choose a reputable translation and localisation partner who brings you a ROI worthy of these flourishing economies. 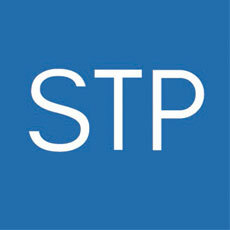 With over 20 years of experience in the Nordic-speaking market, STP is a world-class translation and localisation company specialising in the Nordic languages and English. With the use of CAT technology that creates translation memories and by making optimal use of terminology databases, STP ensures quality, consistency and optimisation in each localisation project. Its unique asset, a vast pool of talented language specialists and project managers, provides a professional service in all industry verticals and domains.